There are so many books published on the subject of football that it would be quite justifiable to think that it has all be covered in print. Nothing could be further from the truth. 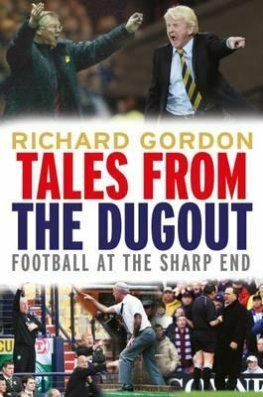 As he did with the highly entertaining "Glory in Gothenburg," Richard Gordon has come up trumps with his collected "Tales From the Dugout." Whilst there are a few stories that fans may have heard before, the concentration of so many in one place really gives an insight into the tensions and strains suffered by the men trying to run the team from the touchline and those in the middle and running the line to enforce the rules. For Dons' fans in particular, there are plenty of entries relating to the Reds, past and present, with Derek McInnes, Neil Simpson, Eric Black and many others of many clubs chipping in with some real gems. Craig Brown gets a chapter to himself which is well deserved for a man with such a lengthy and influential career. Another chapter comes from former whistler Kenny Clark who describes in graphic detail some close encounters with dugout dwellers. Any book that opens with a passage devoted to the major contribution made to football by the one and only Donald Colman, the creator of the dugout at Pittodrie in 1931 has got to be worth reading and Richard has moulded together an agglomeration of stories that keep the pages turning. We won't reproduce any samples here, just recommend that any fitba fan should get out to their nearest bookshop and purchase a copy whilst stocks last. This is a sure fire hit for Christmas and will be a handy reference for loads of sports writers in the years ahead, but most of all it will give you a blend of gasps and belly laughs. Great stuff!